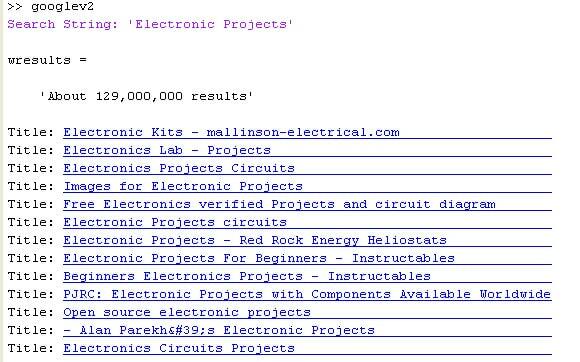 Google Search using MATLAB, and displaying the first 10 results from the Google search engine in MATLAB window. 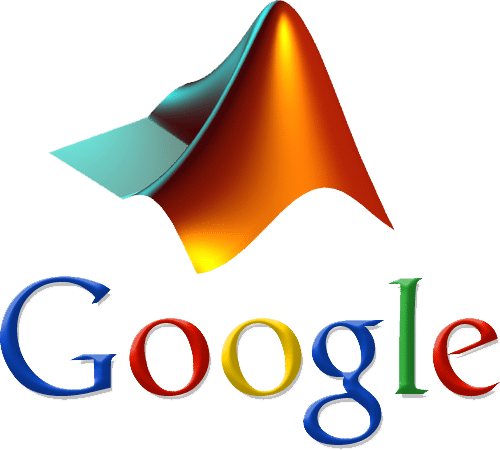 This code is tested on MATLAB 2012b, but it is expected to work on all newer versions. These are the results using MATLAB 2012b. * This article was earlier posted on comm2excel.com, which has been closed now and all the data from that is being transferred to our new domain galaxysofts.com. * This code is the same as it was posted on comm2excel.com, a few years earlier. However, it is not tested recently whether it works or not now because Google keeps changing its layout and Matlab codes are also being updated.